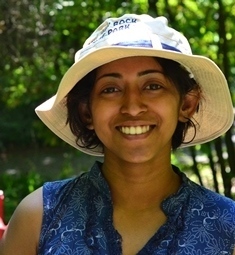 Since her youth, Gayatri has demonstrated a deep passion for community development. Being a teacher herself, she understands the values of education and power it brings to people. She envisions a world of equality through access to education. 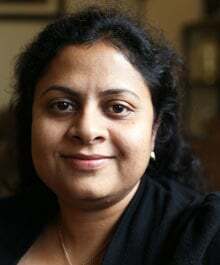 Gayatri holds a PhD in molecular biology from UC Santa Cruz and currently teaches stem cell biology at San Jose State University. 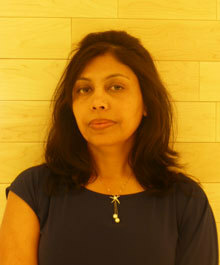 Gayatri strives to be part of solutions by combining her passion and experience. Gayatri is an eager learner, enjoys traveling and meeting new people from new cultures; people who further inspire her mission to empower through education. Samit is drawn to capturing nameless faces of struggling classes. An engineer by profession he has an avid interest in socio-economic history and culture. He loves to travel and capture dreams and aspirations of struggling people through his lenses. Samit helped design and implement many AiducateNow projects successfully. 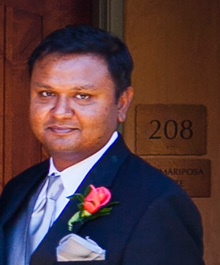 Santwana is an entrepreneur involving children. Her first hand knowledge interacting with kids along with her deeply caring nature makes her an asset to the board. She donates her time at the project worksites and draws inspirations from the success stories of the benefited children and youths. Santwana has been the key person for AiducateNow to forge several successful corporate partnerships. Being a part of a very large, local, family has hugely shaped Liz’s personality and core values. She has seen first hand the empowerment and opportunity that comes from the presence of a solid support network. Thanks to federal aid, love & encouragement from her family and, her own tenacity, she was able to attend college and earned her B.Sc. in Molecular Biology from UC Santa Cruz in 2009. She currently works there in scientific administration for a group whose focus is human cancer genomics. She hopes to help contribute to support networks for young people here and abroad, who have not been as fortunate as she. She believes in building a globally conscious community for the betterment of the world. Anindita's grandfather lost his eyesight at the age of 58 years. Since then Anindita became deeply motivated to help the blind people. Anindita has been creating audiobooks in Bengali for the blind students of Helen Keller Bidyapith in West Bengal, India for the last few years. As she wanted to do more for these students, she initiated the Blind School Project in 2012. She has been raising $1500 for 10 blind students through crowdfunding since then. Currently, she closely monitors the progress and the successful implementation of the project. Anindita's grandfather lost his eyesight at the age of 58 years. Since then Anindita became deeply motivated to help the blind people. Anindita has been creating audiobooks in Bengali for the blind students of Helen Keller Bidyapith in West Bengal, India for the last few years. As she wanted to do more for these students, she initiated the Blind School Project in 2012. She has been raising $1500 for 10 blind students through crowdfunding since then. Currently, she closely monitors the progress and the successful implementation of the project. Anindita's grandfather lost his eyesight at the age of 58 years. Since then Anindita became deeply motivated to help the blind people. Anindita has been creating audiobooks in Bengali for the blind students of Helen Keller Bidyapith in West Bengal, India for the last few years. As she wanted to do more for these students, she initiated the Blind School Project in 2012. She has been raising $1500 for 10 blind students through crowdfunding since then. Currently, she closely monitors the progress and the successful implementation of the project. Anindita's grandfather lost his eyesight at the age of 58 years. Since then Anindita became deeply motivated to help the blind people. Anindita has been creating audiobooks in Bengali for the blind students of Helen Keller Bidyapith in West Bengal, India for the last few years. As she wanted to do more for these students, she initiated the Blind School Project in 2012. She has been raising $1500 for 10 blind students through crowdfunding since then. Currently, she closely monitors the progress and the successful implementation of the project. 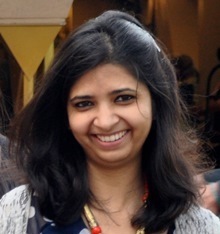 Nandini is a Senior Research Scientist at the School of Medicine, Stanford University, CA. As a child she dreamt of becoming a teacher and enjoyed tutoring underprivileged kids whose parents worked as domestic helps in the neighborhood. Her informal personal experiences became an inspiration and her career as a scientist at Stanford University gave her the resources to turn her passion into action as the STEMnUS Project Co-ordinator at AiducateNow. Her family and teachers have been a great influence in her life and she strongly believes that each of these relationships strongly nurture the future of young minds. Su is intrigued by social engineering and its application on empowering girls/women. She has a wealth of experience in Human Resources, Coaching, Operations, Accounting & Finance. She works at a startup in the Bay Area. Anindita is always ready to help anyone in need. That’s her nature since childhood and she has many fond memories of making a difference by extending a timely help. With a philosophy of “There is more happiness in giving than receiving”, she currently enjoys involving herself in community development, charity and social enterprises. 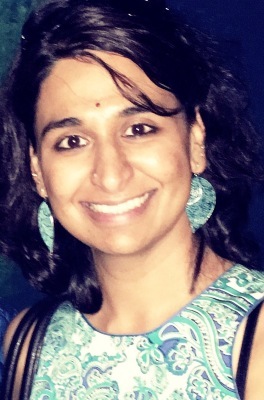 Anindita holds a PhD in Power Electronics from Northeastern University in Boston. 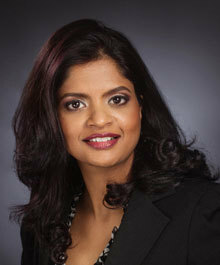 She currently works as an Engineer in Semtech Corporation and is also a Visiting Professor at DeVry University. 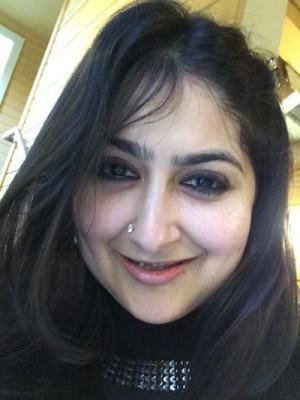 A lover of wit, celluloid, and green chillies, Neelanjana is a passionate writer with experience writing and publishing stories for both print and the web. She loves journeys and enjoys popular culture. She is immensely awed by the notion of space-time. She has crossed the Atlantic from a cruising altitude of 36,000 feet, and that's the closest she has been with the sky. The wet smell of the earth on a blood moon night and the sound of the Hawaiian waves thrill her. She loves biking. She is also drawn to altruistic ventures and has been actively involved with various nonprofits concerning education, environment, health, and hygiene. She believes each one of us is here for something unique. She has a Bachelors in English Literature and a Masters in Journalism. 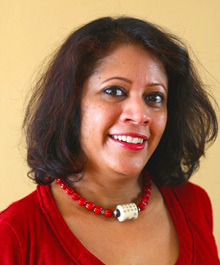 Bharati Iyer is a writer, travel blogger, artist, and an enthusiastic volunteer. She holds two Masters’ in Philosophy and has a versatile background. 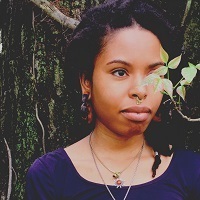 She has worked as a Content writer, ESL instructor and Mental Healthcare worker. 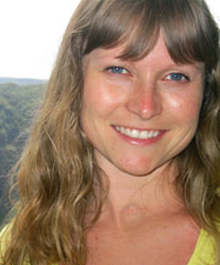 Through her writing, she hopes to inspire readers and call to action, one article at a time. A few years into experiencing an advertising agency, curiosity invited me into a world of realization. The question appeared, ‘how should I use the gift of creativity, purposefully?’. I decided I wanted to help others grow through educating small business owners (most of whom are POC) about their brand identity and the affects it has on their success. I wanted to supply truth as an exposition to opposing a climate of such hierarchy. I believe we attract one another through the intention of our actions. The collaboration of myself and AiducateNow is proof of the connection within our community and across the world. Paramita's encounter with the feeling of selfless giving happened in 2011 when she took part in an 'Adult Education program' in her college at Arunachal Pradesh, India. The close encounter with the less privileged people of the society, the experience of their love and selflessness changed her. Since then she has made volunteering a part of her life along with her career as software engineer.